Anytime there’s a new Halloween film the one constant has been one refrain: “They didn’t need to make another after the original.” John Carpenter’s original 1970s slasher film is a classic of both the genre and of cinema; we still study it for so many things Carpenter did that are applicable to cinema still. The sequels…. Not so much. 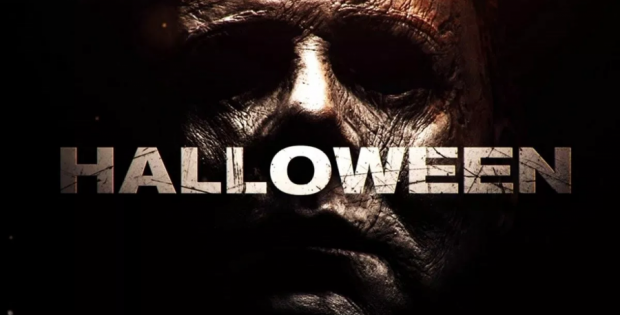 So the fact that Halloween, rebooted yet again by indie darling David Gordon Green, was an interesting hard sequel to the original and ignored the decades of mediocre to awful sequels is an interesting proposition to ponder. By going back to that original classic and expanding from there Green has crafted the first sequel in the franchise that’s genuinely engaging and not just another slasher film. We pick up 40 years after Michael Myers killing spree and Laurie Strode (Jamie Lee Curtis) is continually prepping for the day he returns. He’s safe and secure in an asylum, of course, but when an accident allows him to be free again on Halloween night. The film succeeds because it remembers what made the original work well, building up to the violence, and letting us slowly build. There’re hallmarks of the original, with a number of cast members replacing those who have departed in the 40 years since, as well as touchstones of society. A true crime podcast is touching on the original killings, of course, and Laurie is still damaged from the experience. That’s the interesting part of the film; Laurie has been prepping for Michael’s return like a doomsday prepper, ruining his familial relationships among other things as she gets ready for him. Everyone considers her crazy, of course… until he returns. That’s the true beauty of this film. Michael Myers at his best is about quick bursts of brutality; Green understands this organically and the film is at its best when Myers is at his most violent. There’s a beauty in how it’s shot; Green takes many of the same composition styles of John Carpenter and uses them. Out of all the sequels to this film it’s the one that feels the most Carpenter like. Is it a classic of cinema? It’s not even a classic of 2018. But it’s easily the best of the sequels to arguably the greatest horror film ever by just being a good film. There’s a number of historical pieces about the franchise as well as the usual deleted and extra scenes. The 4K is loaded with extras and it’s well worth the purchase for them.